Tallin, 23rd November 2017. 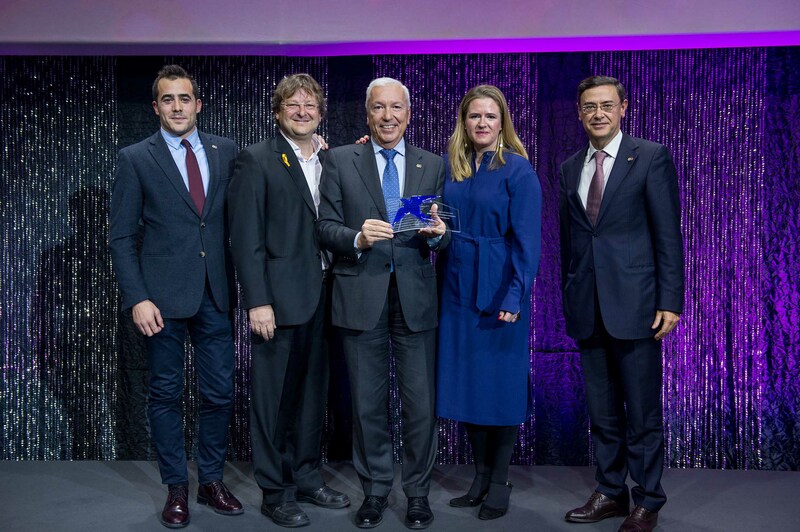 The Centre de Reempresa de Catalunya has been distinguished with the “European Enterprise Promotion Awards” (EEPA) within the category of "Improving the business environment." The jury, made up of eight European representatives from different sectors and professional fields, has decided among a total of 4 initiatives from Austria, Italy and the Netherlands. With this award, is recognized the contribution of Reempresa as an innovative policy in favor of SMEs and it’s work to safeguarding the business of a region and the fight against unemployment. Reempresa is the business transfer marketplace for SMEs in Catalonia, Spain. An initiative from the trade association Cecot and Autoocupació, with the collaboration of the Ministry of Business and Knowledge of the Government of Catalonia and the European Regional Development Fund (ERDF) of the European Union. In this respect, the Centre de Reempresa de Catalunya is part of the Board of Directors of the European association Transeo, and it has been the only Spanish member since 2012. It also participates in the Group of Experts on Business Transfer convened by the European Commission, and it was presented as an example of good practice in the Business Transfer sector at the SME Envoy Network meeting.